We’re here for the first time ever so I’m really excited. 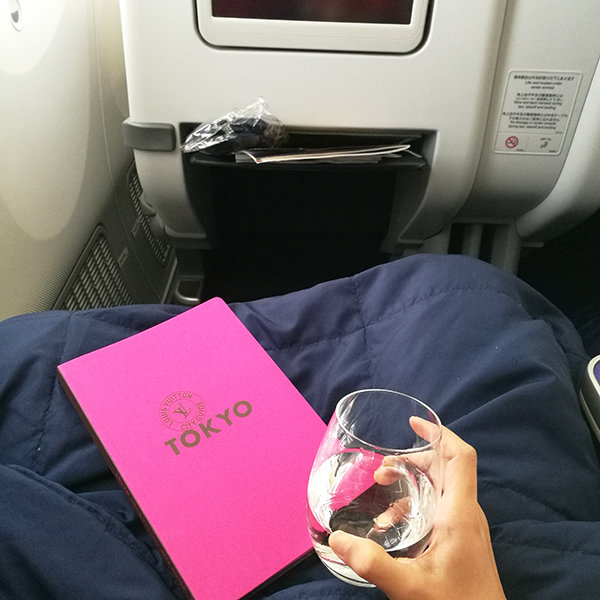 Spent the plane ride reading about what to do and where to go in Tokyo. Learned some Japanese words like Muji, Uniqlo and Toyota… hmmm pretty sure I won’t survive here haha. It’s a work trip as we’re meeting our Japanese investors (news reports here and here in case you didn’t know about the Series B funding news) and having a tour of their operations. I’m sooooo excited because their warehouse is acres-wide and they have conveyor belts and all…. I might just pee in my pants in awe. E-commerce heaven, I tell you. I’m so thankful Masyaallah for this partnership. Because when we were fundraising, everyone could just offer money, but not much synergy or extra expertise we could leverage on to improve… then suddenly they came knocking on our doors and it was like fate. Allah swt works in amazing ways, there’s a reason for everything. Anyway, the Love, Vivy crew should’ve come on this trip because I would’ve loved to share this experience with everyone, but they don’t allow any cameras in their compound here, so boo. Gonna cram as much as photographic memory as I can into my brain. Anyway, some good news to share! I’m officially the first ever hijab Friend of Louis Vuitton and I can’t believe it. 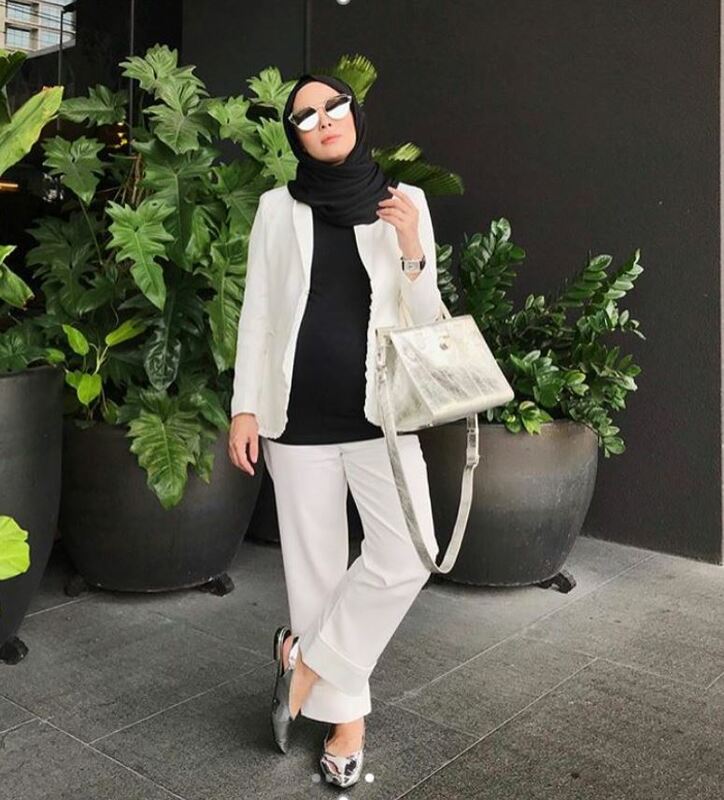 I feel so proud that finally an international luxury brand acknowledges someone in hijab, because seriously a lot of these brands refuse to associate themselves to any Islamic element. So yay LV for breaking the mould! Penangites, you know what to do this weekend! i watched ur instastory in japan, it was really nice. 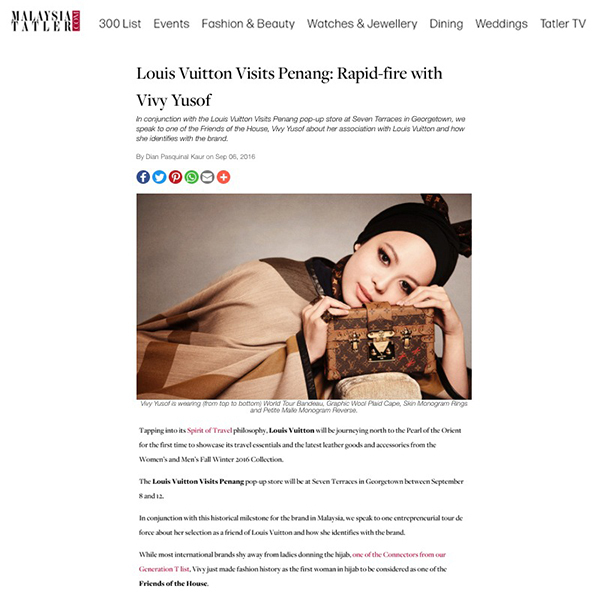 hv fun vivy and congrats on the first hijab friend of LV! and the #prayforfadza part is quite hilarious. So very proud of you V.. You’re definitely an icon and good role model. Have fun in Japan and I’ll #prayforfadza ..
Congrats and i saw your instastory!! Really awesome and to partner up with them, a bonus! Alhamdulilah. 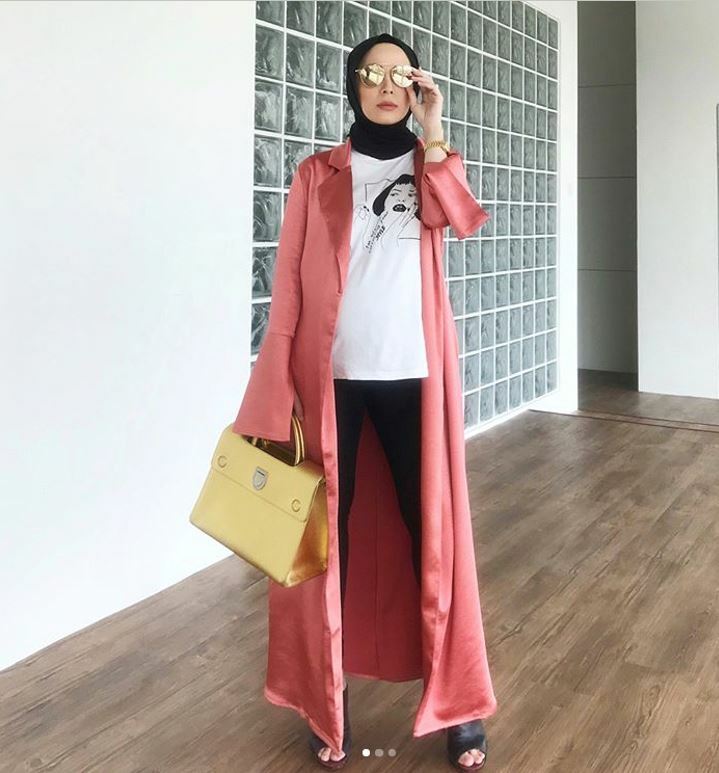 Vivy, you deserve to be the first ever hijab Friend of Louis Vuitton. You are LV = Love Vivy after all. Have fun in Tokyo! Vivy,I know you are such a workaholic but please take care of your health too vivy.Don’t forget. Perghhh Vivy ! Salute ! 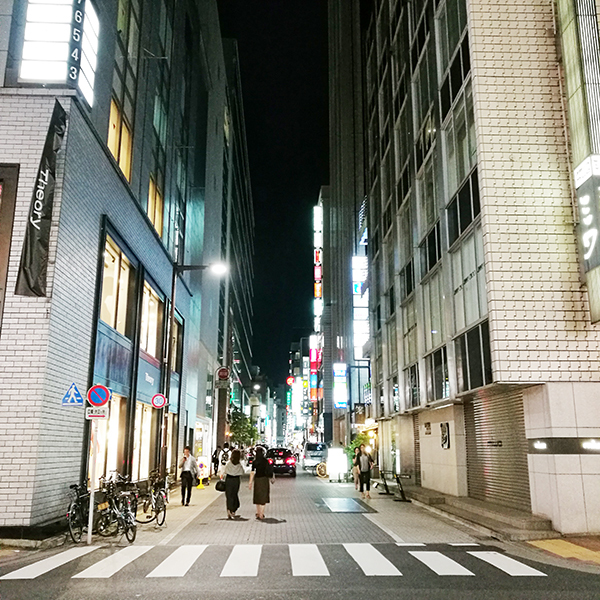 I remember walking down Ginza street at night in the rain with my husband last year (wait, that was last year? Gosh, time does fly fast!) also in awe of the buildings. Hubs were all about the CARS that were on the road there. Haha. Ah, how I’ve missed Japan. Congrats Sis vivy and husband..feeling inspired and motivated.You are right.Allah always has the best plan for us. Congrats Vivy and Fadza! … As a Muslim sister and also a Malaysian, I am proud of you both! You guys are my inspiration to succeed in business (my husband adores you guys too). I am married to a foreigner and, you guys gave him a big impact in order succeed in what we are doing, and also an impression of having your spouse as a team is never-never-never a bad thing haha. LOL. Enjoy ur trip, wish to see more about ur japan trip photo. I miss Tokyo, would love to go back! Congrats on getting recognised by LV, you look bomb in the photo!